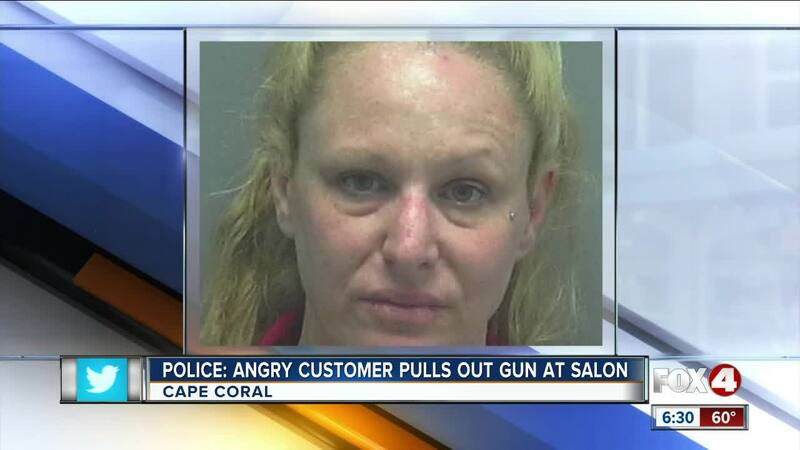 CAPE CORAL, Fla. -- A woman has been arrested for pulling a gun out at a hair salon. According to police, she said her appointment was taking too long. It happened at the ‘Hair Cuttery,’ salon in Cape Coral off Del Prado Boulevard Sunday evening. Police say Ulin got into an argument with a customer and was told to “take a chill pill,” and things escalated from there. Moments later, Ulin was told the police were called and she left with her children. She was arrested and charged with aggravated assault and carrying an unlicensed firearm later that night.